This guide will teach you the basics of interacting with a ledger from an SDK. 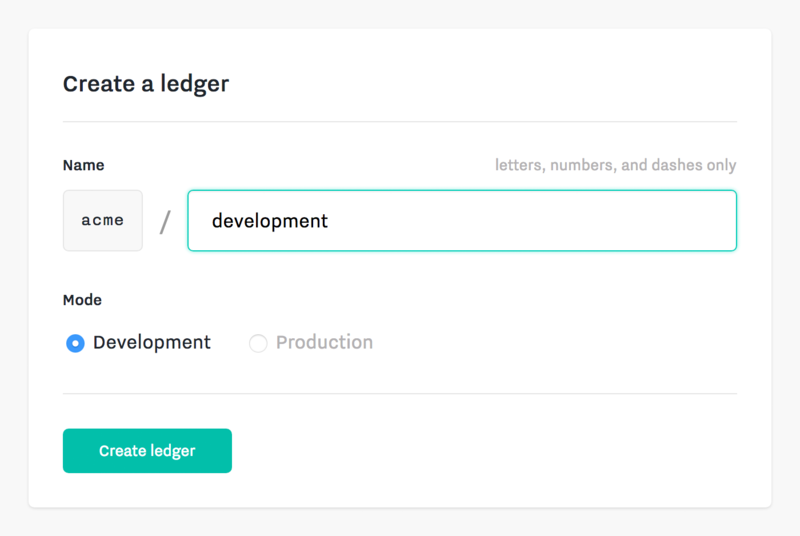 First, you'll need to create a ledger and API credentials. To create a ledger, visit your team dashboard and select the "Ledgers" tab in the team navigation bar and click the "New" button. You will be asked to choose a name composed of letters, numbers and hyphens. The name must be unique within your team. Let's name this ledger test. To access your ledger from an SDK, you'll need an API credential. For development, it's convenient to use a Personal API credential. For security, you will only be able to view your new API Credential once, so make sure to copy it for use in your SDK. To instantiate the SDK client, specify a ledger name and a credential. Let's specify the test ledger and the credential we just created. Transactions in the ledger are authenticated by cryptographic keys. To create a key, provide an id (a unique identifier). If no id is provided, one will be automatically generated. For each type of token you want to track in a ledger, you first create a flavor. You can then issue tokens of that flavor into an account. To create a flavor, provide an id (a unique identifier) and one or more keys. Accounts represent entities in the ledger and can each hold many different flavors of tokens. To create each account, provide an id (a unique identifier) and one or more keys. To issue tokens, use the issue action in the transaction builder and provide a flavor, an amount, and a destination account. The transact method automatically applies any necessary key signatures and submits the transaction to the ledger. To transfer tokens, use the transfer action in the transaction builder and provide a flavor, an amount, a source account, and a destination account. To retire tokens, use the retire action in the transaction builder and provide a flavor, an amount, and a source account.